Welcome to Cricket News Today - a one-stop destination for all the significant developments from the world of cricket each day. South Africa doubled in the second ODI against Sri Lanka as the bowlers defended 251 after the middle and lower order collapsed. It was Sri Lanka’s fifth straight loss in the ODI format and they have won just one 50-over game since September last year. Meanwhile, India and Australia have traveled to Ranchi for the third ODI as India look to wrap up the series. New Zealand face Bangladesh in the Basin Reserve in Wellington and the visitors (Bangladesh) will be seeking a quick turnaround on what has been a disastrous tour so far. Meanwhile, the Indian women have lost yet another T20I series as they came up short in the second T20I as well. After a short break, Bhuvneshwar Kumar is back in the Indian side ahead of the third ODI. He replaces Siddarth Kaul who played just one T20I and was benched in the ODIs as well. India’s premier white-ball pacer had his say on the workload and the IPL in the press conference ahead of the third game in Ranchi. There’s been a lot of talk about workload management with the all-important World Cup just a couple of months away. Ahead of this series against Australia, Indian skipper Virat Kohli said that the players will have to be smart in managing their workload and taking breaks. 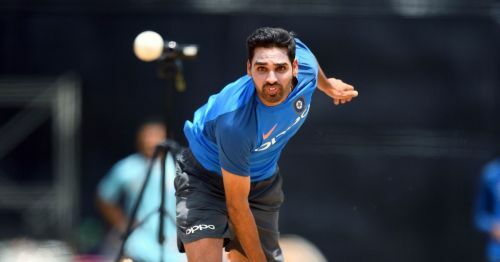 Bhuvneshwar Kumar acknowledged his captain’s thoughts as he too felt managing the workload will be on everyone’s mind and they will have to assess which games to play, especially in the second half of the IPL. “That [workload management] is something that's there in all of our minds. We have to manage everything. We cannot decide how much we are going to play or workload management. It will come into play after the first-half of IPL. [After] six-seven matches, we can know how we can approach the second-half of IPL and what we need to do to remain fit for the World Cup,” the 29-year-old pacer said.